Dr. Saxon is a cosmetic surgeon with an M.D. from the University of Texas Health Science Center, San Antonio, TX, and a B.A. in from The University of Texas, Austin. He received his training in general surgery at the University of Texas Health Science Center: Hermann and M.D. Anderson Hospitals in Houston Texas, and St. Joseph Mercy Hospital in Ypsilanti, MI. His Residency in Otolaryngology Head and Neck Surgery was completed at the University of Michigan Hospital in Ann Arbor. Dr. Saxon is Board Certified. He received his training in liposuction from the creator of the tumescent solution for liposuction used at Sono Bello today. Dr. Saxon is a Fellow of the American College of Surgeons, and Fellow of the American Academy of Otolaryngology Head and Neck Surgery. 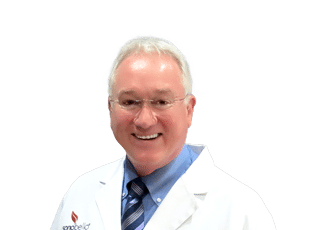 Greatly respected in the medical field, Dr. Saxon is the author of numerous medical publications including many chapters and articles and a book. In addition, he has served on the full time faculty of Harvard Medical School, and the surgical staff of Brigham & Women’s Hospital in Boston. Dr. Saxon was staff clinician and principle investigator at the National Institutes of Health in Bethesda, MD, and surgeon at Walter Reed Army Medical Center. Married to wife Pamela, with whom he has four children and two step- children, Dr. Saxon enjoys music, theater, dance and physical fitness.